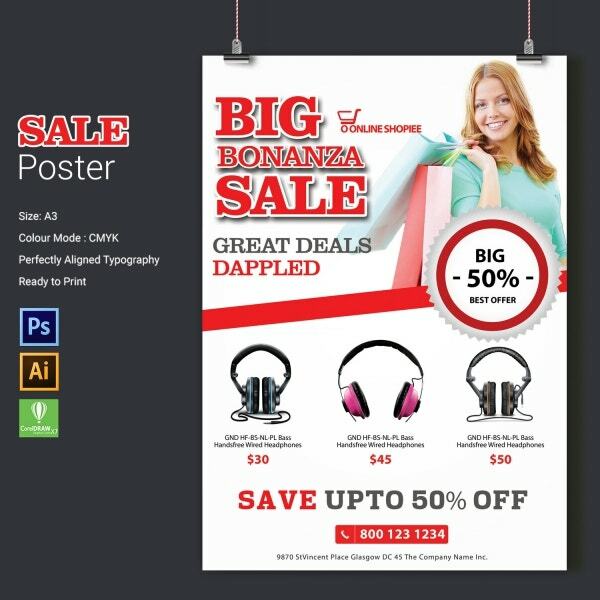 To advertise a sale, you could be using a variety of media like billboards, posters, postcards, brochures, eBook cover page, and even social media. 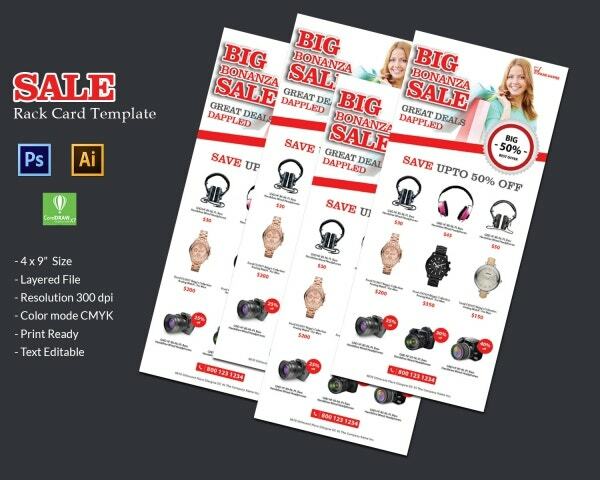 With these templates, you’ll be able o advertise your sale effectively. Also, all these templates here are fully customizable. That means you would be able to download the template and then add your own details to them. They also use high-resolution files and a layered file. That makes these templates exceptionally easy to use. You can also see Sales Order Templates. A tri-fold template would allow you to incorporate more details into your brochure. This template comes with a bright and catchy headline which is sure to attract customers. Also, this template has been crafted in such a way that it is ready to be printed. Plus, you would be getting all the images that you see here. As the title suggests, you would be getting two solid pages with this template and you are free to design it as you please. Of course, you can retain the images here and also edit the text provided here. You would be getting a layered file along with the text and would be able to use high-resolution images. 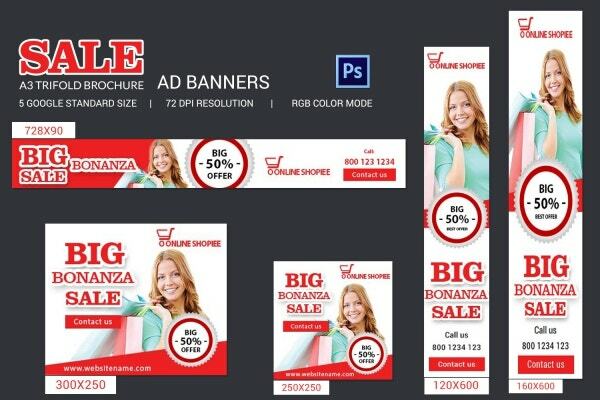 With this template, you would be getting banner ads of different shapes and sizes. It would allow you to use them for a number of different purposes. 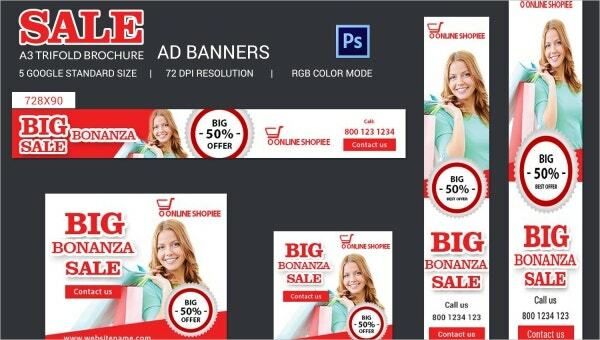 You will be getting five standard size templates for banner ads and they are in a resolution of 72 DPI. Also, they come in an RGB color mode and these are all tri-fold brochures. 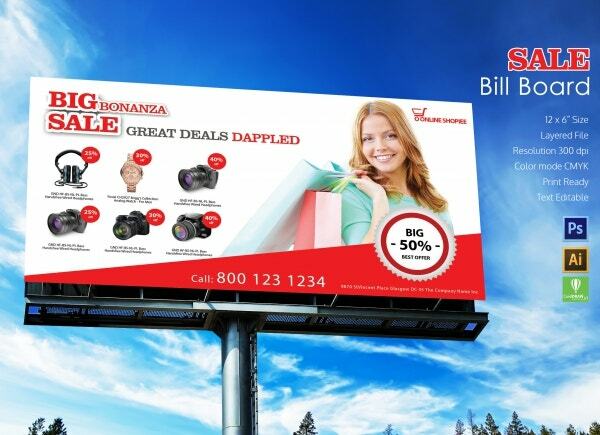 If you’re planning to advertise some kind of sale, then a billboard would be a great way to capture the attention of your audience. Here, you would be getting a template that can adorn a billboard of size 12 x 6-inch and it comes in a layered file. Also, here the resolution used is 300 DPI and that means you would be getting top-quality images. 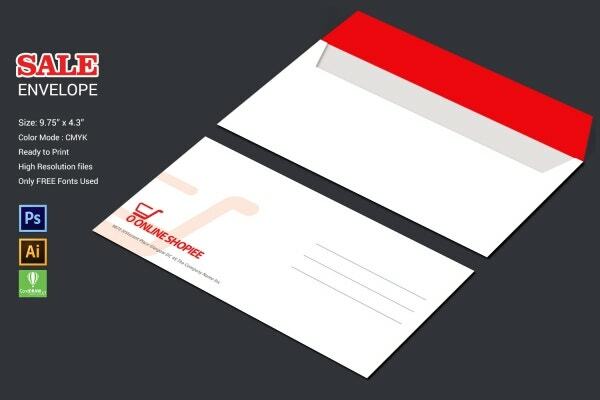 When you’re talking about business cards, it is always better to stick to simple and professional ones. Also, here you get these simple and minimalistic business cards to use. The red background certainly adds an unusual touch. Plus, these business cards use a fairly high resolution of 300 DPI and a CMYK color mode. 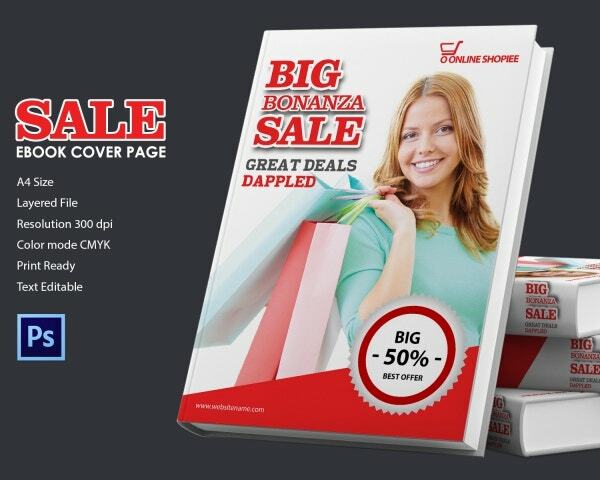 In case you are planning to design a cover page for your sale, you could take the help of this template. It comes in an A4 size format which goes perfectly with an eBook. Also, it has a layered file which makes it easier to use. You would also be getting a high-resolution file and a fantastic color mode. The text in the template has been kept editable and customizable. 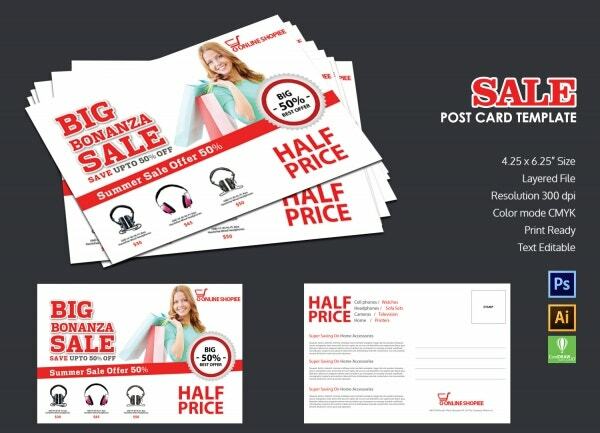 Sending out an envelope to prospective customers about a sale you’re having? Then you need an envelope that goes with the purpose. For that, you can use this template. It comes in a standard envelope size that is of 9.75 x 4.3-inch size and a CMYK color mode. Also, here you would be getting high-resolution files and only free fonts. 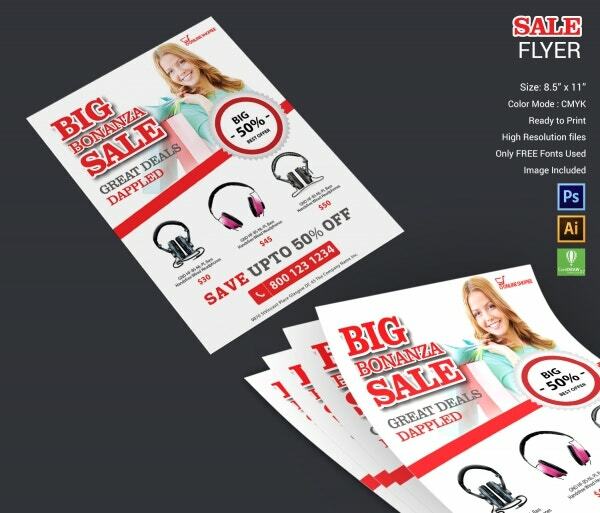 The one way to make sure a large number of people turn up for your sale would be to use a flyer that is informative, appealing, and has a catchy headline. That’s precisely why you need to take a look at this template. 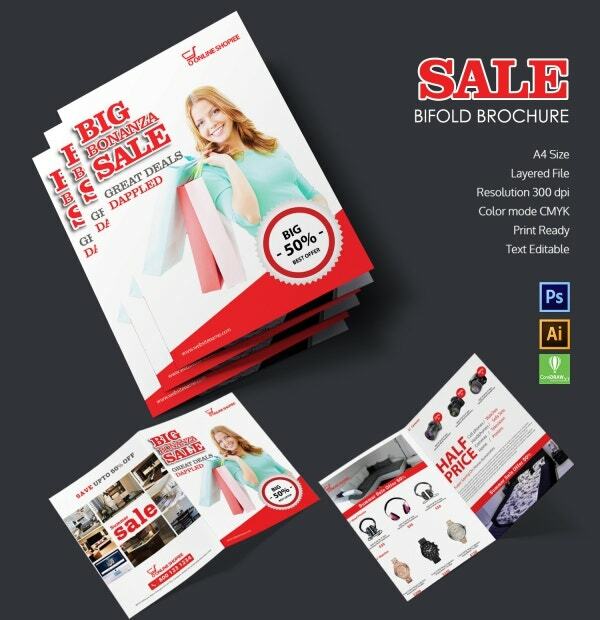 This Sale Flyer Template conveys all the essential information to the recipient in just one go. Also, the images are included as part of the template here. 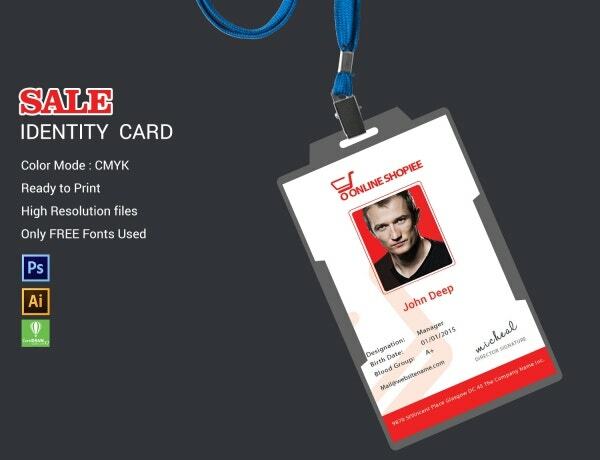 If you’re planning to hire more people to manage your sale, then you could do with these customized identity cards. These identity cards use a number of free fonts and high-resolution images. Also, here you get a template that is absolutely set for printing. All you’ll have to do is download the template, and then edit the details to customize it. 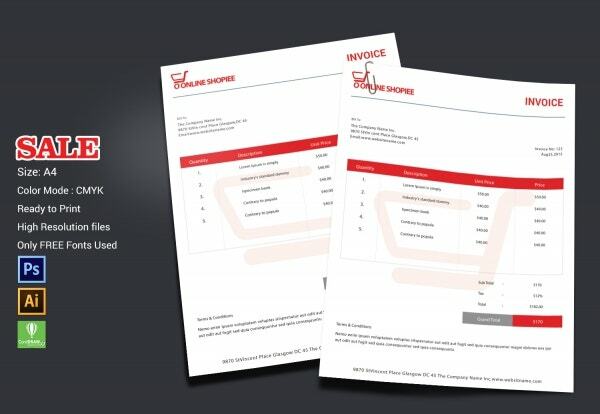 Irrespective of the kind of sale you’re having, your customers would be expecting a detailed invoice. Well, that is exactly what you get with this template. This invoice comes in an A4 size format which makes it really easy to use. Also, here you would be getting high-resolution files and free fonts to choose from. This template is ready to be printed. 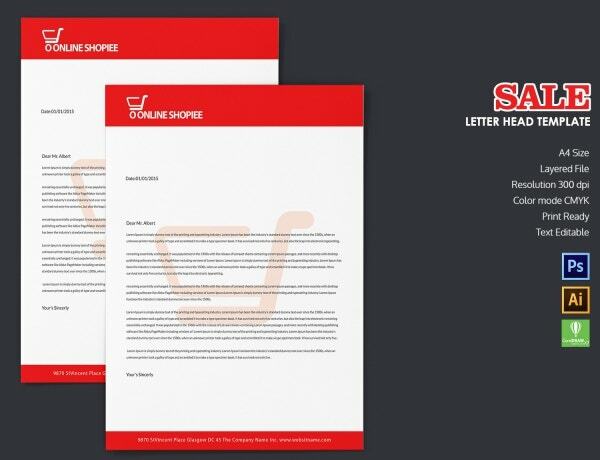 A letterhead needs to be formal and professional in nature. That is exactly what this template is all about. If you’re planning to create your own letterhead, then you could use this template which comes in a layered file and with a CMYK color mode. Also, here you would be getting a fully customizable text and images in a resolution of 300 dpi. With this template, you focus more on the images than the text. That makes the template more favorable to your customers. 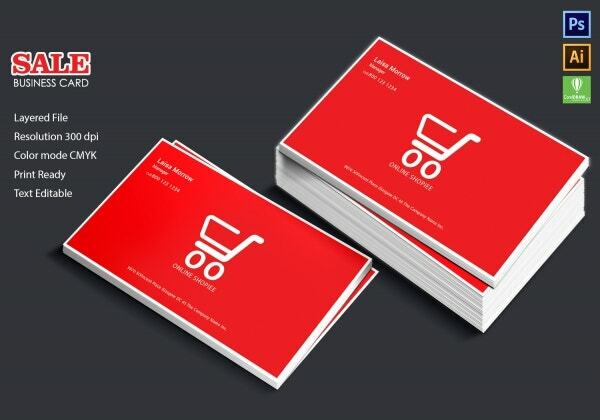 In the postcard, you would be able to add all the relevant details about your sale since it is fully customizable. Also, the images are included as part of your package when you download the template. It is also ready to be printed. The best part about this template is that you will be able to create the perfect balance between the images and the text. Here, you will be getting the text with a perfectly aligned typography which is sure to make your poster look all the more attractive. Also, you will be getting a poster that is absolutely ready to be printed. 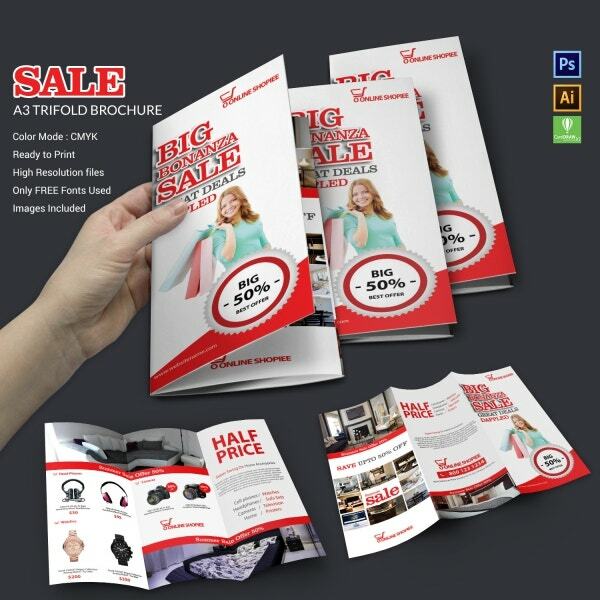 In this template, the rack card has been designed a lot like a catalog. Here, you will be able to advertise all the items that you have put on sale. The rack card comes in a 4 x 9-inch format and a layered file. Also, you would be getting top-quality and high-resolution images which are sure to be appreciated. The text in the template is fully editable. Unless you make your presence felt through social media, you’re not going to be able to reach out to an optimum number of customers. In order to do so, you can take the help of this template. It would allow you to design distinct cover pages for all your platforms like Facebook, YouTube, and not to mention, Twitter.